My supervisor eyed me keenly, ‘You’re aiming to become the expert on this particular subject’, he reminded me. Well, that was only a few months into my doctoral research. I didn’t feel much like an expert on anything at that stage! Indeed, even though I’ve now been awarded the doctorate and am trying to get published, natural diffidence would prevent me from claiming to be the expert on all aspects of my subject. Certainly, there are some areas where I can be fairly sure I’ve delved deeper than anyone before me – but not necessarily every topic I touched upon. Anyway, this isn’t about me. Stepping briskly over the metaphorical wall which demarcates Karen-the-researcher from Karen-the-librarian, I want to write about the whole issue of authority. It’s such a large and complex issue I’m going to approach it from five different angles. 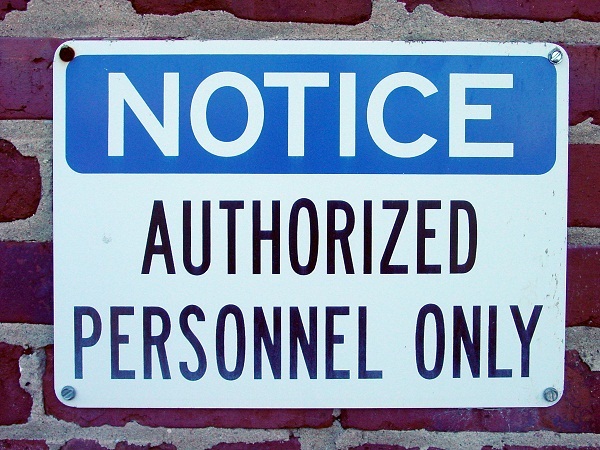 Librarians think about authority – more often than you’d think. And I don’t mean in the “who’s in charge round here?” sense. Questions of authority particularly come to the fore when we’re selecting books to add to stock, or when well-wishers want to donate materials. These may be something they’ve inherited, have finished with, or have even authored themselves. Do I want to add a whole load of simplified editions of piano classics? Do I want to add a substantial collection of Beethoven sonatas published 80 years ago? Your librarian tries to ensure that what goes on the shelves is authoritative, but it goes without saying that you will be much more of an expert in some aspects of your field. This means you have to accept some of the responsibility for checking out your sources. Are they fit for purpose? Postgraduates should think about authority too. When you’re researching a subject, you need to be sure that your sources are authoritative. This is of paramount importance when you come to write your literature review or to cite references in the body of your thesis. What was the author saying? Why did he need to conduct the research or write the paper? When was the research conducted? How was it carried out, and how had he tried to disseminate the results? Where was the author placed, in terms of a research community, college or specialist society? In short – Who was he? Did his opinion carry any weight amongst his peers? Not so, dear friend! I happen to believe that peer-review is an excellent system. Two or three experts are asked to read your work – they probably won’t be paid for doing it – and to write a critique assessing the paper, the work behind it, and whether it’s suitable for the journal that you submitted it to. This dis-interested quality control system is why if you’re published in a peer-reviewed journal, it carries more weight. Conversely, if you cite a peer-reviewed article, you’re citing something that has been deemed worthwhile by members of the academic community. Self-published works don’t necessarily come with the same guarantee. And the writer of an internet article could be a total genius, a well-respected author or an unknown crank! Your supervisor thinks about authority. S/he needs to know what you’ve read, and where you found the information – if you found it on the web, who said it? Can you cite a weblink? Does the author have an academic reputation? Is it sufficiently up-to-date in your field? Examiners are doing you a favour when they think about authority. You’re submitting a serious piece of work to get that all-important doctorate. Without that vital qualification, your future progress – certainly in academia – will be very much more difficult. (Let’s face it, it’s hard enough to get on with a doctorate!). So if your examiners insist on correct citation of authoritative sources, they’re training you well for your future in academia. Who cares about authority? As far as I’m concerned, anarchy is only for the very young, very immature idealist. You absolutely should have an enquiring mind. Question everything. Don’t rest until you’ve satisfied yourself that arguments can be sustained and can withstand the most rigorous testing. If they can’t, then say so. But do demonstrate a healthy respect for authority. It’s the first step to becoming an authority yourself! I was told my thesis was a solid, well-researched piece of work, in part because I understood the complexities around academic notions of authority. No-one said it was brilliant, but it was good enough to get the PhD. By the time you’ve struggled that far, that’s really all that matters. This entry was posted in Getting things done, On Writing, You and your supervisor and tagged academic community, Authority, peer-review. Bookmark the permalink.